Leizhan spare parts are specially made to meet specification of high performance paper machinery and high efficiency paper processing requirements of paper producer. Leizhan spare parts are made to include latest designs and technologies. By using Leizhan spare parts, minimum operating and maintenance cost and optimal paper processing system can be achieved. Leizhan supply various spare parts for paper plants like plastic mesh, screen cylinder, sizing machine, boiler, reeling machine, press roll, rotor, felt, bearing, cylinder mold, doctor blade, etc. 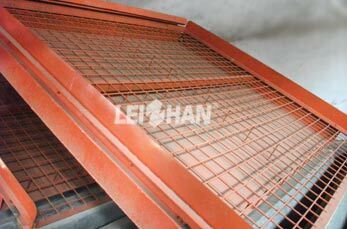 Leizhan plastic mesh of inclined screen has a general angle of 38 degrees. The usual material of plastic mesh of inclined screen is 60 mesh plastic net. Leizhan supply tailored plastic mesh designs for paper plants and the plastic mesh has a wide range of widths and mesh aperture. Easy to change and install.